Have you ever wanted to do an Arts Integration or STEAM lesson but didn’t want it to feel “cookie cutter”? You want your lesson to be different, unique and exciting! But maybe, nothing different, unique or exciting is popping into your head right now. Maybe, you’re stuck thinking about the usual suspects: Van Gogh, Kandinsky or Beethoven, paired with Science, Math, and Reading. Well no more! 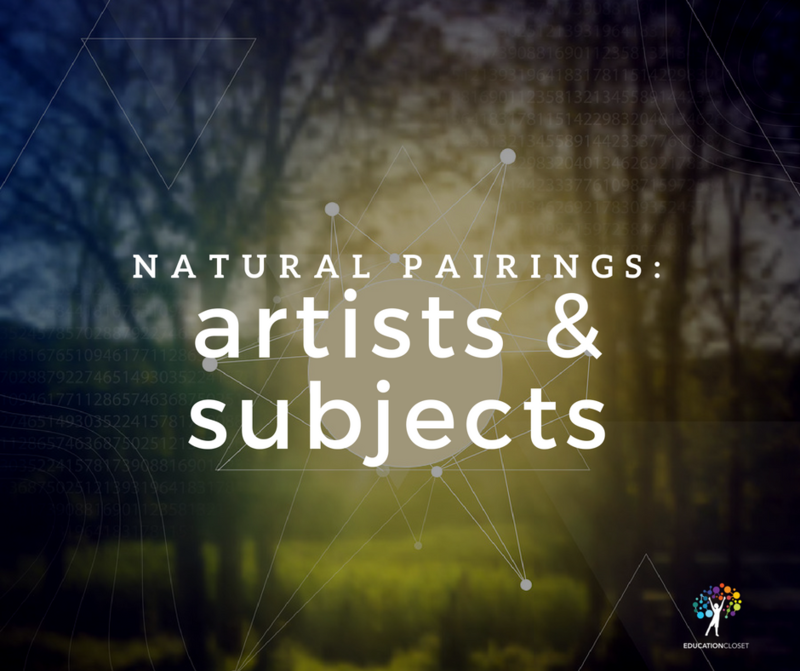 I reached out to our Facebook Think Tank group and asked for some fresh ideas on their favorite natural pairings between artists and subjects. And they TOTALLY came through! What I really love about these are why and how these innovative teachers are crafting these natural pairings. Just like a great food and wine pairing, these connections are unexpected but once you see them, you can’t unsee them! Sometimes, we just need a little push to bust through our creative ruts. Whether that’s a new location, a new challenge or even just a new way for natural pairing of artists and subjects, change can be great! This year, try something new. You just might surprise yourself and your students with how much you enjoy it.